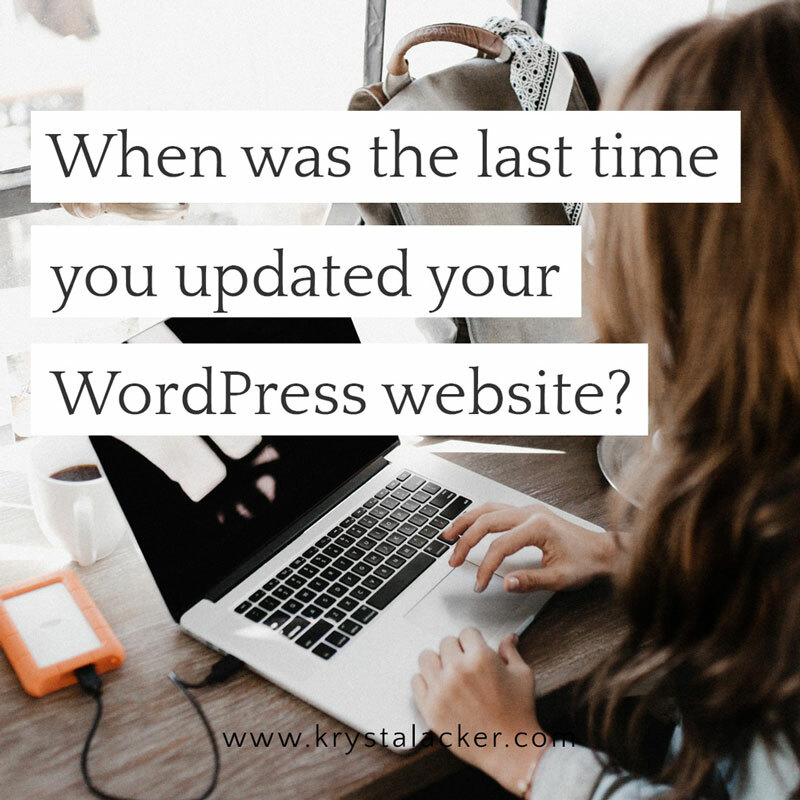 Have You Updated Your WordPress Website Lately? The WordPress CMS is an amazing platform to build a website on. I love it because, once a website is complete, its beginner friendly interface makes it easy for just about anyone to update their website all on their own. 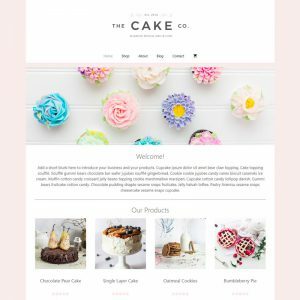 My clients usually have no trouble at all adding a blog post, updating a picture or modifying a bit of text on a page once I hand over their site to them. Unfortunately though, for a lot of non-designer/developer folks, those little changes are the only reason they ever log in to their website. WordPress, being a web app, is software just like the apps or programs you have installed on your device. It needs updates, just like those apps on your device. A lot of website owners don’t do those updates. Whether it’s because they aren’t aware that they have to, they dont’ know how, or they don’t think it’s necessary because things are working ok now, the end result is the same. The site is at risk. So, what can happen if you don’t update? Most importantly, you could get hacked or break your site. Updates to WordPress core, plugins, and themes often increase security by patching vulnerabilities and strengthening against attacks so not updating can leave your site vulnerable to being hacked. Also, after a major WordPress release, a lot of plugins will get an update to ensure compatibility with the new version. Without these updates, your whole site or parts of your site may break and stop working. In addition to the more serious issues a lack of updating can cause, you could be missing out on new features and improved website performance by skipping the updates. 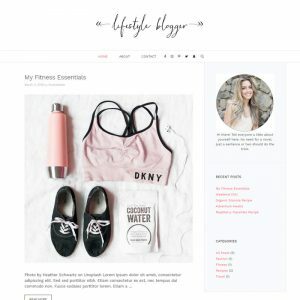 So how do you update your site? Thankfully, it’s not difficult to perform updates to WordPress, it’s themes and plugins. You just need to take a few precautions first so you don’t break your site by updating it and then click a few buttons, and test things out to make sure it all worked out as planned. I know, the thought of breaking your site by keeping it up to date and preventing it from breaking can be a bit much to handle. Updates are a double edge sword. Fail to do them and your site can break, do them and your site can break. Regardless, they need to be done and you can take precautions that will minimize your risk. I’m going to show you how. First things first. 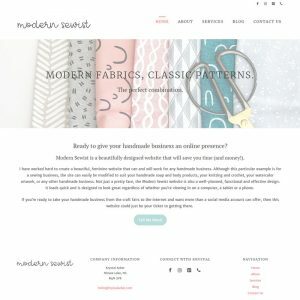 Back up your website! Before you even think about touching an update button, make a full backup of your website so that you can roll back and fix any problems that pop up. The longer it has been since you’ve updated, the more important this backup is. If you’ve never updated or it has been a long time, you’re more likely to have trouble and that backup could save your website. Your web host may keep limited backups of your site but please don’t rely on these. 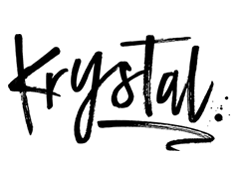 They do backups as a courtesy but, at the end of the day, you are responsible for your own website and its backups. You can make a backup copy your site for free using a backup plugin that is available in the WordPress repository. UpdraftPlus is an example a popular, free backup plugin. It does have a paid tier but the free version will likely suit your needs. Grab it here or by going to the “Plugins” tab once you’re logged in to your WordPress website. If at all possible, do your updates on a staging (test) site first to make sure that there are no issues before you update the live version of your site. Most folks don’t have a staging copy of their site though so, if you don’t, you’re not alone. Ok, you’ve got your backup, now you can update! You’ve got your backup and you’re ready to go. Hold on though, before you start updating everything all at once, there’s a bit of an order I recommend you go in. Note: When you’re backing up and updating your site, it’s good to review your plugins and themes and remove the ones you’re not using. In general, the less extra stuff you have on your site the better so, you go ahead and give the stuff you aren’t using the axe. First, update your plugins. It’s safest to do this one plugin at a time and check your site in between for errors, especially if it’s been a long time since you last updated, but you can update them all in one go if you’d like. Just be aware that if the updates cause issues, you’ll have a harder time determining which plugin caused the problem if you do them all at once. If there is a problem, you can deactivate all of the plugins that you updated in bulk and then reactivate them one by one checking your site in between to figure out which one tripped you up. To update your plugins just navigate to the plugins menu and click the update button under each plugin you need to update. To do them all at once, check the boxes for each outdated plugin and then click the “Bulk Actions” dropdown box. Select “Update” and then hit apply. Stay on this screen until they’re all finished. If there are any plugins in your list that are not activated and you are not using, you can delete those if you’d like. Once that’s done, update your themes. Do a check to make sure all is good. To update your themes, hover over Appearance and select Themes from the menu that pops open. If there are any updates required, there will be a notice on the thumbnail for the outdated theme that an update is available. Just click to do the update. If there are extra themes here that you are not using, you can click on them and then click “delete” on the bottom right corner of the box that pops up. Just make sure that you don’t delete your active theme or the parent of your active theme or your site will break! Update WordPress core and check your site. If everything looks the way it should then you’ve successfully updated your website. Congratulations! Now, make sure you log in AT LEAST once a week to do it again. To update WordPress core, hover over the Dashboard link and select updates. If there is a WordPress core update it will say so at the top. TIP: You can hover over the Dashboard link and select Updates from the menu that pops open to see all of the updates your site requires as well. This is handy for subsequent updates but I really recommend that you go through the process above, at least the first time, though so you can get rid of the extra plugins and themes you have taking up space on your site. So there, now you know how to update your WordPress website. You should probably go do that right now if it’s been a while. If it still seems like too much work or if you’re nervous about possibly breaking things, you can always hire a WordPress professional to do the job for you. I offer several levels of care through my WordPress Care Plans. All of my Care Plans will make sure your site is updated safely as well as provide daily backups in case anything ever goes wrong and the Essentials and Total Care Plans offer some other great features that you may find useful as well. You can check out the Care Plans and see if they’re a good fit for you HERE.